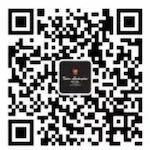 Situated in the scenic destination of Tuancheng Mountain Economic Development Area surrounded with serenity and highlighted by lake view, our luxury hotel in China redefines remarkable waterfront living for you. Adjacent to People's Square, Broadcast Centre and Sports Centre, the hotel is with excellent access to the High-speed Railway Station only 15-minute drive away. Ci Lake is covering area of 10 square kilometers in the heart of Huangshi city and is in the national forefront of urban lakes. Ci Lake earned it's name for the aboundance of magnetite stones found around it. 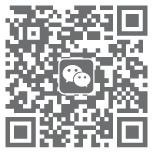 The main attractions of Ci Lake are Sleeping Beauty, Silver Carp Pier, Chengyue Island, Yiqu Park, Yingqu Park, Yequ Park and many more. 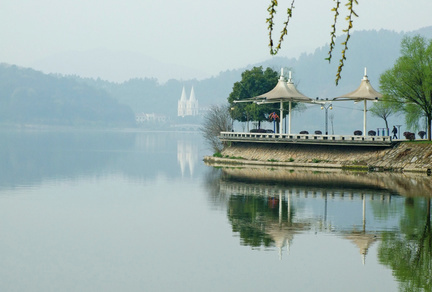 In Ci Lake scenic area, pictureque steep hills are interwoven with lake and river. The lake and the hills complement each other with radiance and beauty that can be absorbed all at once. Ci Lake scenic area is approved as a provincial scenic area by the provincial government. Xisai Mountain scenic spot is 176.5 meters above sea level and 18.5 km in perimeter. 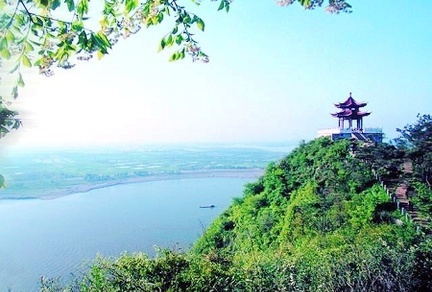 Relying on the superior location of Wu and Chu, and the steep terrian, Xisai Mountain is an ancient battlefield as well as famous scenery historically. Poets and writers have written a great deal of poetry after visiting Xisai mountain. Huangshi National Mine Park, Daye Iron Mine is located in Tieshan District of Huangshi city. It’s the only one iron mine which has been inspected by chairman Mao. 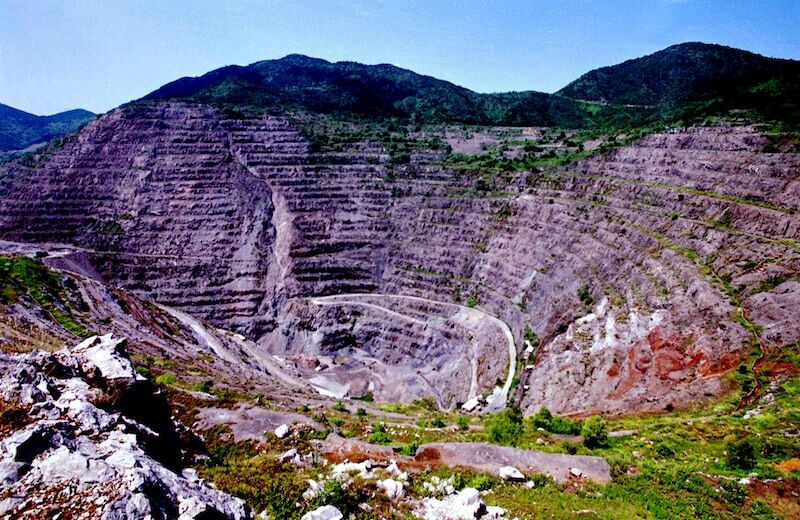 The mining site formation drops 444 meters, the world's first high slope, known as "Asia's first doline". Huangshi National Mine Park is the first National Mine Park in China. It is also a 4A level scenic spot, National Industrial Tourism Demonstration Site, and National Popular Science Eeducation Base. Known as “the First Mountain in Chu Kingdom“ historically and one of the tourist resort of Buddhism culture. It was built in the reign of Emperor Tang Xianzong in 805 AD, go through the thousands of years with strong incense. 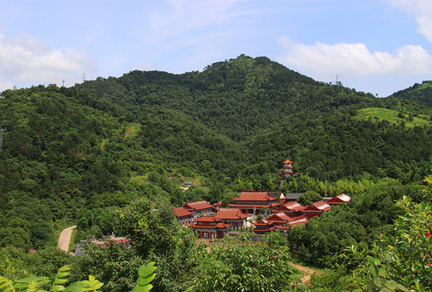 There are 22 temples around the center of Honghua Temple which located among the mountains. With the more than 2000 species of plants, the forest coverage rate reached 90%, the temperature lower than the foot of the mountain around 5 degrees, It is the ideal place for summer, sightseeing and leisure.